The first generation of MPSTrak was developed for the erstwhile Macmillan Publishing for the management of their comprehensive and deep publishing workflows. The platform has come a long way since then and is now in its fifth generation. 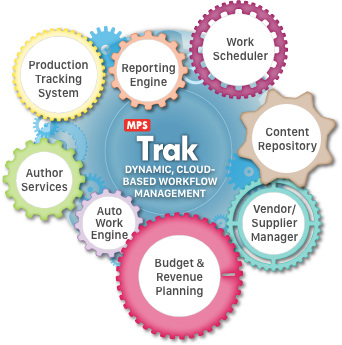 MPSTrak is a cloud-based production workflow and content management platform for all product types including books, journals, reference works, and all media. The platform empowers publishers to track content from creative to delivery. MPSTrak provides workflow and content management tools and operational agility required for constantly evolving editorial and production system processes in a rapidly changing publishing world. MPSTrak can be customized to your needs and integrated with DigiCore.